Copenhagen is the capital of Denmark. It is fashionable, cool, edgy and ancient, with 900 years of history proudly visible in the city’s old fort, magnificent palaces, cathedrals and parks. 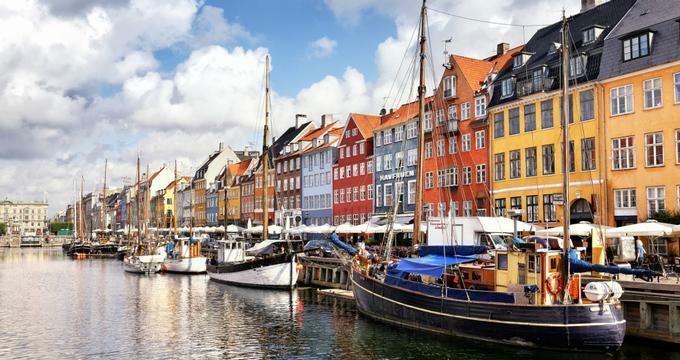 Spread over two islands and intersected by quaint canals lined with colourful old houses once home to famous artists, Copenhagen is connected to Sweden by the spectacular Öresund Bridge, half above and half under the water. Here are the best things to do in Copenhagen, Denmark. Amalienborg is a cluster of four palaces built originally for four Danish noble families, but bought by the royal family when their previous home, Christiansborg Palace, burned in 1794. The rococo palaces, which are today the home of the royal family, are built around an octagonal courtyard, with a magnificent statue of King Frederick V in its center. Near Amalienborg are the Copenhagen Opera House and Frederick’s Church. The changing of the royal palace guards is a spectacle very popular with tourists. It takes place every day at noon, accompanied by music and drums. 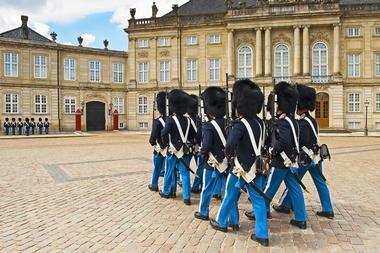 The guards march from their barracks by Rosenborg Castle, through the streets of Copenhagen, all the way to Amalienborg. The University of Copenhagen Botanical Garden is spread over 10 hectares of green spaces, gardens and greenhouses in the heart of Copenhagen. The garden was originally established in 1600, but was moved to its present and much larger space in 1870. The garden, which is open to the public and is a popular place for a stroll for the residents and tourists, has 13,000 plants, 600 of them native Danish species. There are plants from all over the world, including Arctic. 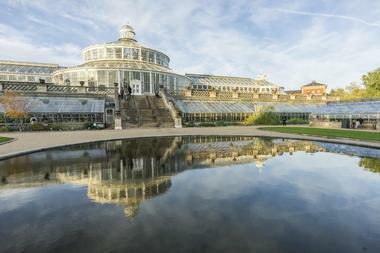 The garden has 27 old greenhouses, the oldest one being the Palm House built in 1874. Christiansborg Palace, home of the Danish Parliament, the Ministry of State and the Supreme Court, is an elegant palace located on the small island of Slotsholmen in Copenhagen. The Danish Royal Family uses some parts of the beautiful palace, such as the Tower Room and the Oval Throne Room, for various official functions and events. The queen receives foreign ambassadors to Denmark in the Oval Throne Room, and Danish kings and queens are proclaimed from the balcony of the Throne Room. The most spectacular is the Great Hall, with 11 queen’s tapestries that portray 1000 years of the history of Denmark. The main part of the palace was completed 1928 in the Neo-Baroque style, but the 1826 chapel is in a Neo-Classical style, and the showgrounds, completed in 1746, are in the Baroque style. Climbing 400 steps to the top of the Copenhagen Church of Our Savior’s serpentine spire has been the favourite pastime of residents and visitors in Copenhagen since the spire was inaugurated in 1752. The last 150 steps are on the outside of the spire, with spectacular views of the city, but are not for the faint-hearted. The beautiful Baroque church is also known for the largest carillon in northern Europe. It plays every hour on the hour from 8 am to midnight. The altarpiece of the church, created by Nicodemus Tessins, is considered a masterpiece. The enormous 4000-pipe organ with gilded monogram of Christian V was built by the Botzen Brothers between 1698 and 1700. It is supported by two carved elephants. 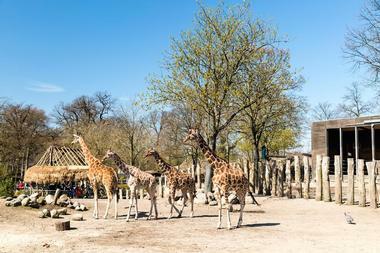 One of the oldest zoos in Europe, Copenhagen Zoo was founded in 1859 and is located in Frederiksbert on 27 acres between Søndermarken and Frederiksberg Gardens. It is home to more than 3,000 animals from 264 species. The Tropical Zoo is a 1,500-square-meter rainforest with perfect conditions for crocodiles, snakes, marmosets, dwarf deer, birds and many butterflies. In the Children's Zoo, kids can pet African dwarf goats and watch horses being trained. One of the most popular attractions is the spacious elephant house opened in 2008, considered one of the best elephant habitats in the world. There is a large, deep water trough where visitors can watch animals diving, from close up. The Arctic Ring, opened in 2013, allows visitors to get really close to polar bears, seals and some North Atlantic birds. Only a 10-minute drive from Copenhagen, hidden in the beautiful, verdant Dyrehaven forest, is the oldest amusement park in the world. 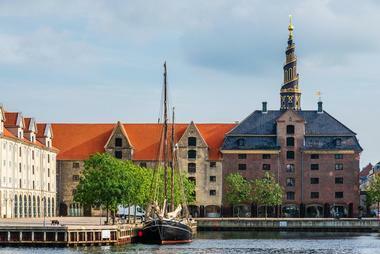 Founded in 1583, Dyrehavsbakken, popularly called Bakken, has been a favourite spot for generations of Copenhagen residents, kids and adults to come for a day of summer fun. The park is a perfect mix of amusement elements, activities, restaurants, bars and pubs, with live music and entertainment. There are 33 rides for all tastes and levels of bravery, including a beautiful wooden 82-year-old rollercoaster. There are also 78 other attractions such as gaming arcades, shooting stalls and more. 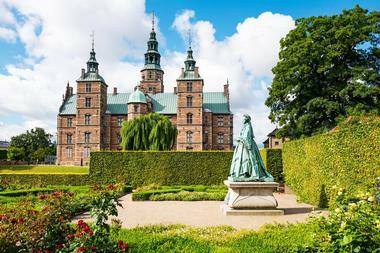 Designed in the early 18th century for the royal family, and surrounding magnificent Frederiksborg Slot Palace, Frederiksberg Gardens are the most romantic and probably the most beautiful of Copenhagen’s many gardens. The gardens have many foreign inspirations, such as a Chinese teahouse, waterfalls, temples and grottos. Originally more formal, in the French style that was modern at the time, the garden has now been made more natural, and has been open to the public since 1749. You can see people rowing a boat on the pond, just like King Frederik VI did, or strolling through the shade of ancient trees or following a path among flowerbeds. Although it is located right in the city, the garden feels distant and secluded. Hearing and seeing elephants from the nearby zoo adds to the impression. The immense Gefion Fountain located on the Langelinie waterfront next to Churchill Park is one of the most imposing monuments in Copenhagen. The complex sculpture is a creation of Danish sculptor Anders Bundgaard, built between 1897 and 1904, and was revealed to the city a year later. The fountain was a gift to the city from the Carlsberg Brewery for their 50th anniversary. The fountain represents Norse goddess Gefion with oxen pulling the plough, and is so enormous that the sculptor had to rent space in order to build it. Ever since it was built, the fountain has been a popular outing spot and a favourite with the local photographers and tourists taking photos during their visits to Copenhagen. Grundtvig Church, located in Copenhagen’s Bispebjerg district just outside of the city, is called “a Gothic Cathedral.” But it is built of yellow bricks, common in Danish village churches, and is entirely without ornamentation. It is considered an example of expressionist church architecture, and was built to honour the great Danish priest, poet, philosopher and reformer N.F.S. Grundtvig. The architectural style that architect Peder Vilhelm Jensen Klint chose was intended to honour his philosophy and aesthetic, as well as his humanist interpretation of Christianity. 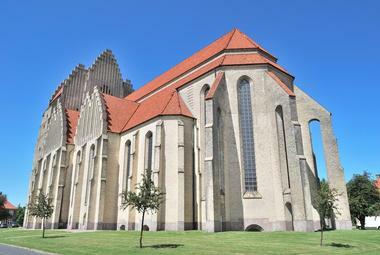 This enormous, imposing church has many elements of Danish village churches, including stepped gables, but the interior is that of a Gothic cathedral—immense, with a long, narrow nave and extremely high vaulted ceiling. The most fascinating feature of the church is a rippling west façade that resembles the exterior of a church organ. Located at the edge of Copenhagen proper, in Østerbro area, Kastellet (or the Citadel, as the Danish call it) is a set of wonderfully preserved star fortresses designed in the shape of a pentagram, with bastions on all five corners. Kastellet was part of the ramparts that used to stand all around Copenhagen. Only Christianshavn still exists. It was built in 1660 by King Christian IV to protect Copenhagen from the sea. 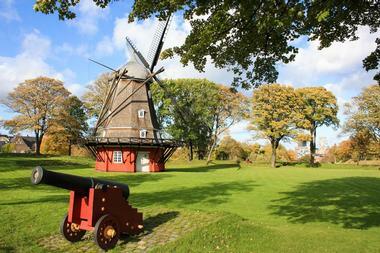 Within the Kastellet are a church and a famous windmill. 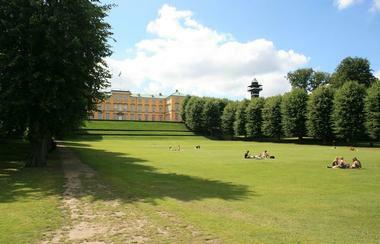 Kastellet still houses diverse military activities, but it is mostly a popular public park and an important historic site. Both the church and the military organize frequent concerts on the Kastellet grounds. Kongens Nytorv is a beautiful old square at the end of the pedestrian street Strøget, in the heart of Copenhagen. It is surrounded by some of the most prominent city institutions—the Royal Theatre, the Charlottenborg Academy and D'Angleterre Hotel . The square was built in 1908 and is surrounded by buildings on five sides. The cobblestone pavement was added in 1670, and the statue of Christian V on a horseback was erected in 1688. It is the oldest royal sculpture in Copenhagen. There are 80 elm trees planted around the square in place of the garden that existed originally but was removed for military purposes. There is a charming old kiosk at one end of the square with an old telephone stand placed there in 1913. It is a lovely structure built in the Baroque Revival style, with hand-carved ornamentation and a copper-clad roof. It is used by a small café today, with outdoor service. Located near Copenhagen's Nørreport station, the National Gallery of Denmark, popularly called SMK, is the largest art museum in Denmark, with significant collections of Danish and foreign art dating from the 14th century. In its permanent collections the museum has about 9,000 sculptures and paintings, 240,000 artworks on paper and over 2,600 casts of ancient figures, from the Middle Ages and especially the Renaissance. The older collections come in large part from the royal family. The museum features not only grand masters, but also significant emerging artists. In addition to permanent collections, the museum also offers special exhibitions, performances, concerts, art talks and workshops. The National Museum of Denmark is a museum of cultural history featuring the cultural histories of Denmark and the rest of the world. 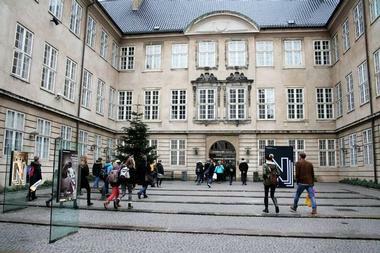 It is located in downtown Copenhagen in the Prince’s Palace. It was built in 1744 for Danish Crown Prince Frederik V and Crown Princess Louise, but is not used any longer by the royal family. The museum hosts a large ethnographical collection, a collection of Near Eastern and classical antiquities, a collection of coins and medals and a toy museum. Part of the museum is a Victorian apartment Klunkehjemmet, furnished in 1890 and almost unchanged since. Some of the highlights of the exhibition on Danish antiquity are 3,000 years old, such as the Sun Chariot, Egtved Girl from the Bronze Age, and a rare collection of artifacts from the Viking Age. 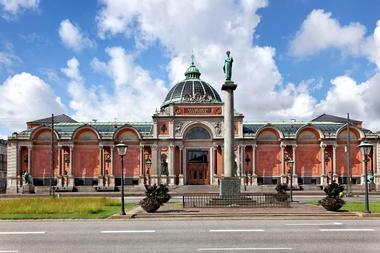 The Ny Carlsberg Glyptotek is a world-renowned art museum focused on sculptures and located in downtown Copenhagen. 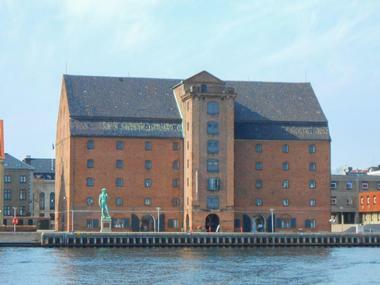 The core of the museum is the personal collection of Carl Jacobsen of the Carlsberg Breweries. The Glyptotek is home to more than 10,000 artworks separated into two distinct collections: the Department of Antiquities, with superb collections of Greek, Egyptian, Etruscan and Roman art that provide a trip through 3500 years of art through history; and the Modern Department, with Danish paintings and sculptures created in the 19th and 20th centuries, as well as French art belonging to the same period. Some of the highlights are extraordinary paintings from Denmark's rich Golden Age, some exceptional French Impressionists’ paintings and sculptures, over 40 of Gauguin’s works, a superb series of Degas' bronzes and an amazing collection of 35 sculptures by Rodin—the largest outside of France. Originally a busy 17th century Copenhagen commercial port in which ships from all corners of the world docked, Nyhavn is the most iconic part of Copenhagen, easily recognizable from photos and movies. Once filled with sailors, ladies of ill repute, alehouses and pubs, Nyhaven (or New Harbor) is still a colourful, lively neighbourhood on the canal between Kongens Nytory and the harbor near Royal Playhouse. Beautiful, colourful 17th and 18th century houses now serve as expensive condos, high-end restaurants, cafes and bars. The oldest house in the Nyhavn is No. 9, Nyhavn, built in 1681. Not much has changed to the house façade since. The houses in Nyhavn were popular with artists such as the famous writer Hans Christian Andersen, who used to live in no. 20, no. 67 and no. 18 at different times. Nyhavn is always filled with people strolling by and enjoying the atmosphere, the street music and beautiful old ships in the canal. Located in the heart of Copenhagen’s old city, Strøget is Copenhagen's main street, stretching between City Hall Square and Kongens Nytorv Square. Closed to traffic in 1962 and a little over one kilometre long, it is one of Europe's oldest and longest pedestrian streets. 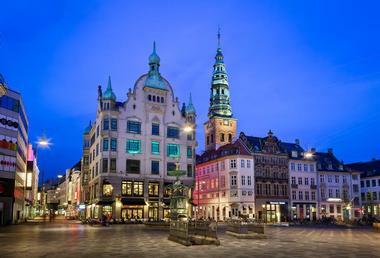 It is a popular shopping and tourist area, with a range of shops for every budget, from large chain stores to upscale, well-known brands, both Danish and international. Street musicians, entertainers and food vendors make it lively and fun to stroll through. Many smaller streets branching out of Strøget are also car-free and house many smaller, more colourful and interesting shops. Rosenborg Castle is a magnificent Renaissance castle located in the centre of Copenhagen, best known as a home of royal art treasures and crown jewels. Built in 1606 as a royal family country summerhouse, it has not been used by the royal family since 1710, but is remarkably well-preserved. The castle is open to the public and attracts lot of attention for its exhibition of the Royal Collections—400 years of royal art treasures, as well as and the crown jewels and royal regalia. The Knights’ Hall contains the coronation thrones with three huge silver lions on guard. Priceless tapestries on the walls depict battles between Sweden and Denmark. The garden around the castle is exquisite and is a popular place for Copenhagen residents to take a stroll and enjoy the blooming plants. WeCycle Copenhagen is the first Denmark location of the popular bike shop concept, opened to the public in December of 2014. The company sells vintage bikes, including upcycled bikes created from recycled bicycle frames and parts, along with a variety of cycling gear and fashionable sport shoes. 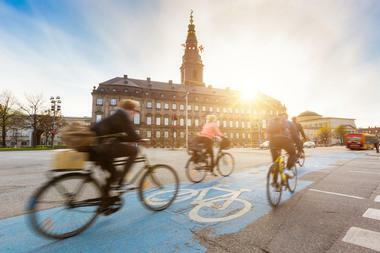 Bicycle rentals are also available, letting Copenhagen visitors explore the beautiful city on two wheels in an eco-friendly manner. Visitors can dine at the company's cafe, which serves up a full menu of delicious high-quality coffee beverages and light health-conscious fare at breakfast and lunch. Nørrebro Bryghus, an organic beer, is also sold, along with wine and other alcoholic beverages. Veras Market is a charming secondhand flea market in Copenhagen, offering more than 50 clothing and accessory vendor stalls selling lovely high-end consignment items and hip inexpensive finds. The market is open to the public on the first and third Sunday of each month at Bispeengbuen during warm months and third Sunday each month at Nørrebrohallen during the winter months. Visitors can purchase secondhand items or bring in their own items to exchange for shopping credit or sell as consignment items with a number of vendors. 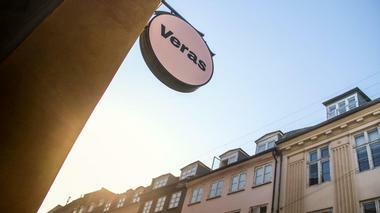 Frequent visitors can become Veras members, which gives shoppers a 10% discount on all goods purchased at Veras own stall, in Veras store at Studiestræde or on the market's website throughout the year. There is no better way to discover Copenhagen than with a friend who lives in the city and loves it. If you do not have one, join one of the free walking tours organized by people who love their city so much they spend their free time sharing their love with the visitors. 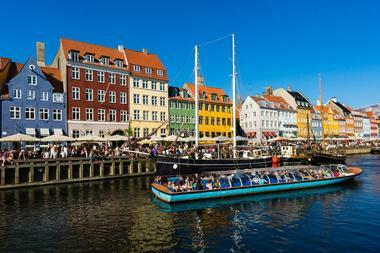 There are two tours: the Classic Copenhagen, which starts at Copenhagen City Hall and takes you through the major downtown attractions, such as Tivoli (from the outside), Strøget, Amalienborg Palace and Nyhavn; and The Christianshavn tour, which start in inner city’s Højbro Plads Square with its Bishop Absalon's Equestrian Statue and takes you through the Christianshavn area and Freetown Christiania. 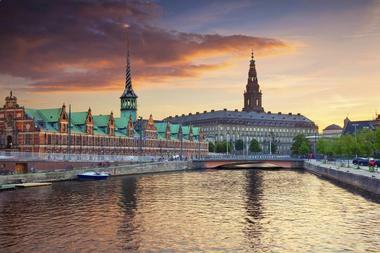 You will learn about the city’s history and architecture, its princes and princesses, powerful Vikings and royal jewels. 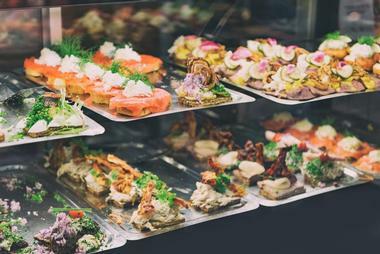 Located on Fælledvej near the lively area of Sankt Hans Torv, Spisesedet Feed is a pleasant, modern restaurant, clean and airy, with the homey atmosphere of a friend’s large dining room. The two young chefs who own and run the place are responsible for the atmosphere, as well as the edible art they present to their customers. 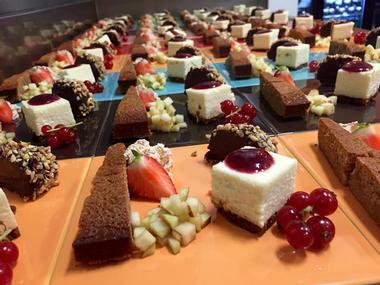 The Italian-inspired cuisine includes dishes such as pasta with Parma ham and goat cheese or fresh, large sandwiches with an imaginative mix of stuffing, and shows that they take their restaurant seriously as a studio for their imagination. The place is open for lunch and dinner daily, the menu for dinner changes often depending on fresh ingredients available, and you can also come just for a coffee or one of their well-mixed cocktails. Best of all, there are a few tables on the sidewalk for those lovely summer days. Runners are a special kind of people, and wherever they go they look for the opportunity to run in some nice places. Running Copenhagen offers guided tours of Copenhagen with likeminded guides—running through the city’s interesting neighbourhoods, seeing attractions, palaces, parks and lakes while doing what they like most: running. The tours are free and are guided by other runners who combine their passion for running and love for their beloved city. 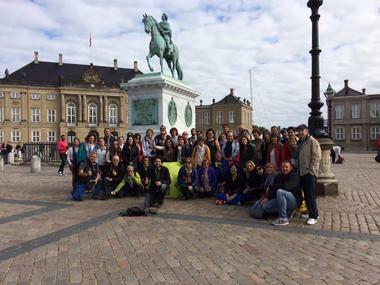 There are several different tours of the city, ranging from the “traditional” Tour of Copenhagen to more customized tours such as the Urban City Tour, Christiania Tour and Architecture Tour. The David Collection in Copenhagen, located in a beautiful Neo-Classical building in central Copenhagen overlooking Rosenborg Castle Garden, is a museum of art built on the private collections of businessman, lawyer and art collector Christian Ludvig David. It contains one of Scandinavia’s biggest collections of Islamic art, a collection of 18th century European art and the Danish Early Modern Art collection. 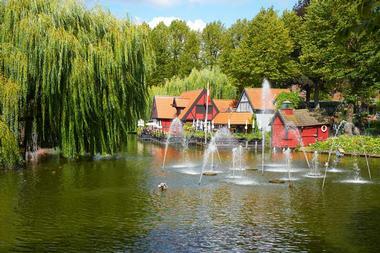 Tivoli Gardens is an amusement park in the heart of Copenhagen, a few minutes from City Hall. 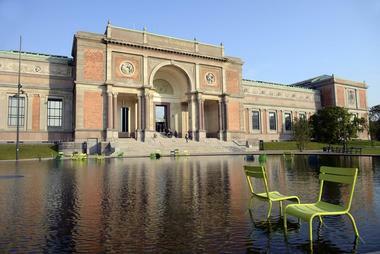 Founded in 1843, it has quickly become a national treasure and Copenhagen icon. The magnificent garden has something for everyone—beautiful architecture, historic structures, verdant gardens and magical rides. It is especially enchanting at night, when thousands of lights add to the fairytale atmosphere. There are nostalgic, old rides that date from the times of the Tivoli Gardens’ opening. There are also modern adrenaline-pumpers such as the Vertigo that turns guests upside down while going 100 kilometres per hour. The most famous is wooden roller coaster Rutschebanen built in 1914, one the oldest still operating today, which has an operator who controls the speed. There is something going on all the time at Tivoli—concerts, festivals and all kinds of events. Christiansholm, across the water from the Royal Danish Playhouse, is locally known as Papirøen or Paper Island. It is a small, 23,376-square-meter artificial island the Navy purchased in 1723 and used for a shipyard. Then the Procurement Association of the Danish Press decided to lease most of the buildings on the island to store their paper. Their lease is expiring at the end of 2017, and the city and various stakeholders have to decide what to do with it. Until then, a great, exciting urban experiment is ongoing, transforming the industrial area into a lively, open urban area, a space for creative businesses, and a location for exhibitions, restaurants and cafes. Everything is temporary until the city finds out what works in the long term. Some businesses are already setting up shop. One of the most interesting is a group launching the "Copenhagen Street Food" concept, filling one of the buildings with all kinds of food wagons offering food from all over the world. The oldest observatory in Europe, Rundetaarn, or the round tower, was built in the 17th century by very creative King Christian IV, who wanted to continue research conducted by the famous astronomer Tycho Brahe after his death in 1601. The tower is still in use by amateur astronomers and is popular with tourists for the fantastic view of the city from its outdoor platform. The tower is located in downtown Copenhagen and is 855 meters tall. The large library hall in the tower once housed all the books from the university library. Popular Danish writer H.C. Andersen used to work in the library, which he found inspirational. Today, the hall is used for art exhibitions and various science, history and art events. The Oresund Bridge is a five-mile-long combined railway/motorway bridge over the Øresund strait, connecting Sweden and Denmark. It is the longest rail and road bridge in Europe. From the Swedish coast, the bridge runs for almost five miles to the man-made island of Peberholm, which sits in the middle of the strait. From the island, passengers complete their crossing through 2.5-mile Drogden Tunnel to the Danish island of Amager, effectively connecting Sweden and Denmark. The reason—a very expensive one—for ending the strait crossing with a tunnel instead of continuing with the bridge was to avoid affecting air traffic from nearby Copenhagen Airport, to allow for the unobstructed passage of ships and to prevent blockage by ice floes.